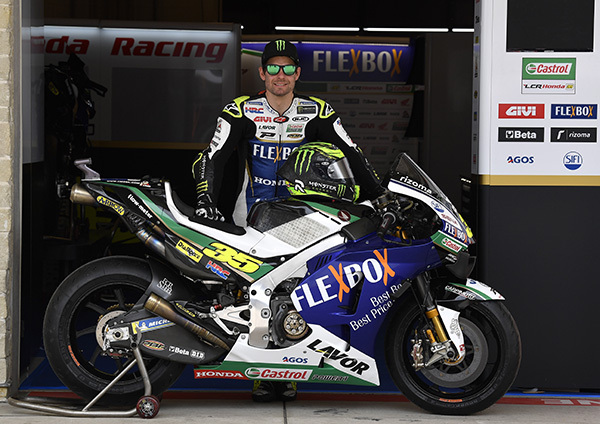 Cal Crutchlow is raring to get back out on the track aboard his RC213V at this weekend’s Grand Prix of the Americas where the LCR Honda CASTROL Team’s Title Sponsor will be Flex-Box ( www.flex-box.com ). As well as in Texas, the industry-leading shipping container manufacturer will also sponsor the Briton and his team in the Czech Republic and Austrian GPs this season. “First of all I want to say a big thank you to Flex-Box for this second year partnership and for believing in our potential. We are doing our best to gain good results so we can give them the visibility they deserve”.